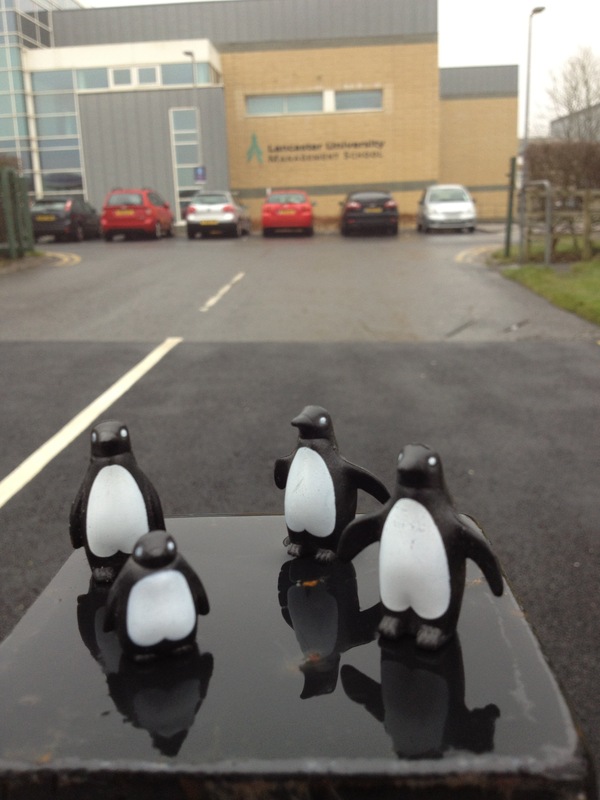 The Playmobil penguins again, this time pictured outside the management school at Lancaster, where I’ve been discussing my PhD progress, and attending a short session on the whys and woes of trying to get to the end. Right now, I feel more like going round the bend than seeing the end…. I think the doctoral process is a test of your ability not to give up when you head off down a blind alley.